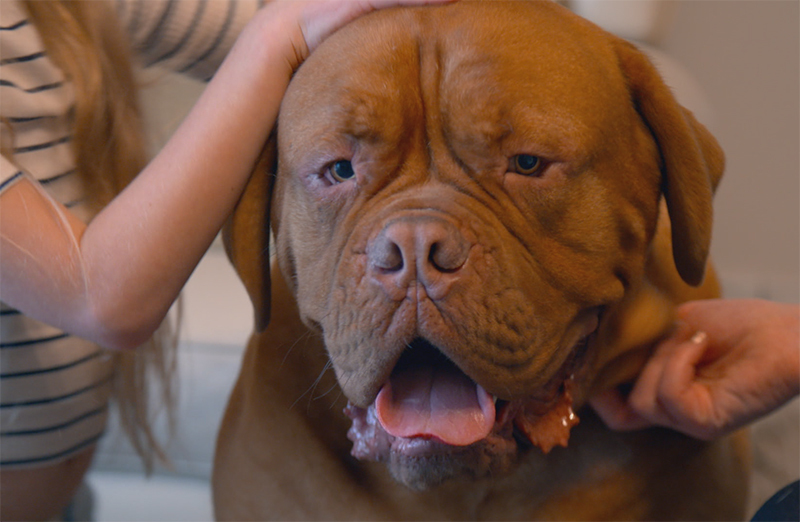 Three-year-old 65 kilo Dogue De Bordeaux Reggie suffers from elbow dysplasia, a painful condition in which the three bones of the elbow don’t fit together properly. If left untreated he’ll be in constant pain when he walks and eventually he may have no cartilage left on the joint surface, causing the bones to grind painfully against each other. Reggie is a big, clumsy and gentle giant. 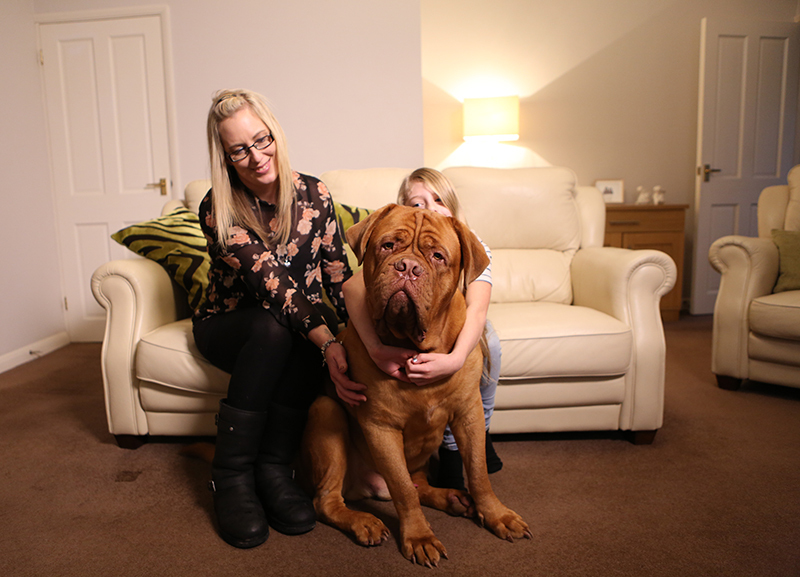 Tracey has known and loved Reggie since Day 1, when she helped hand feed him when he was a puppy. Her two daughters, 8 year old Keeley and three year old Summer-Rose love Reggie. He is truly one of the family. 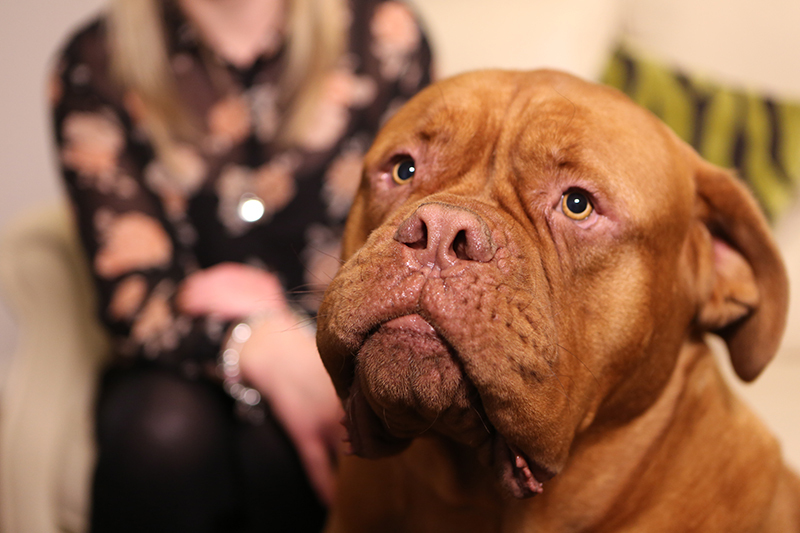 Professor Noel Fitzpatrick confirms that Reggie has severe elbow dysplasia and not just in one, but both elbows. In order to find out the true significance of the disease, Noel needs to undertake arthroscopy, to identify how complicated the condition is, and whether due to his size a custom made implant might be required. The Arthroscopy reveals a welcome surprise, the elbows are not as bad as was feared, Reggie does not need an implant but two relatively simple operations. Firstly, on Reggie’s right elbow, Noel performs a minor arthroscopic (keyhole) procedure to cut a tendon of one of the muscles in his forearm that should reduce the conflict between the bones of the elbow, reducing pressure and wear. The second procedure is a perfectly placed cut in the ulna (one of the bones in the lower forelimb) which allows the cut portion of bone to move and heal back into a position where the bones fit more comfortably together with the aim of stopping the wear between the two bones. This should resolve his pain and lessen progression of his elbow disease. The same procedures are performed on his left elbow 8 weeks later. It is a long road for Reggie’s recovery, who needs rest and care around the clock. The family stay close to him all summer to help him get better. Finally 12 week scans show that Reggie has healed well and he is raring to go! It has been a long journey for the family but they are looking forward to Reggie running around happily without pain as he’s always wanted to do.